HomeTech & GadgetsSamsung Galaxy S9 and S9+ are now available in Lazada Philippines! Everyday moments become more epic with SAMSUNG’s latest flagship device, the Galaxy S9 and S9+, now available via pre-order on LAZADA! Samsung Electronics Philippines Corporation together with LAZADA, the Philippines’ leading online shopping destination, is making sure that consumers get the hassle-free and seamless shopping experience with the release of the new Samsung Galaxy S9 and S9+. The all-new Galaxy S9 and S9+ are available in Midnight Black, Coral Blue, and a new chic and stylish shade: Lilac Purple. 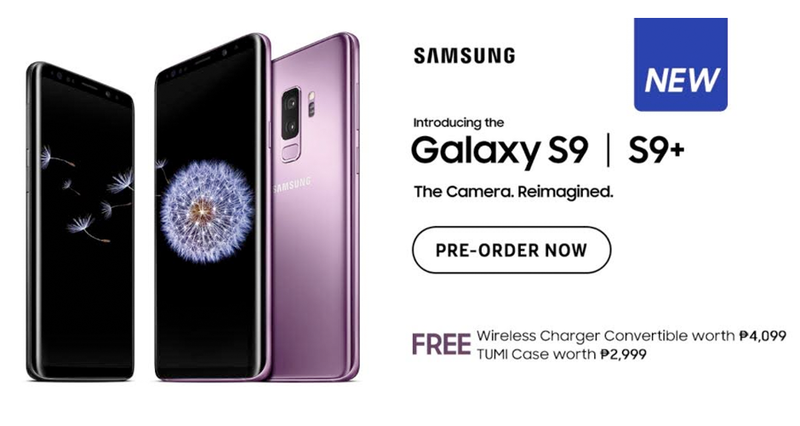 Priced at PHP 45,990 and PHP 52,990, respectively, pre-order your Galaxy S9 and S9+ now until March 11 to get a free Wireless Charger Convertible worth PHP 4,099 and an exclusive TUMI case worth PHP 2,999. Lazada will also be delivering the pre-ordered units starting March 12, which is 4 days before its official market launch. Can’t wait to get your hands on the new Samsung Galaxy S9 and S9+? Head now to lazada.com.ph/samsung-s9preorder/ to pre-order your units and experience the world change with the reimagined camera.